Another hunter-approved deer camp snack….or anywhere! Take a cubed piece of backstrap and a dollop of jalapeno flavored cream cheese and spread on backstrap. 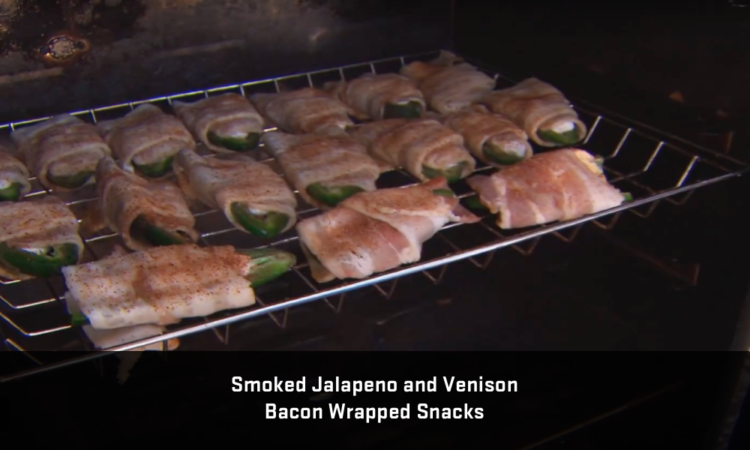 Smoosh a sliced jalapeno into the cream cheese and wrap with bacon and secure it all using a toothpick. Then I use the Bradley Smoker Hickory Flavored Wood Bisquettes and smoke my venison at 220 degrees for about an hour – depending on how cooked you like your bacon. This makes for a great appetizer for tailgating, deer camp, and afternoon BBQs at the house. Enjoy!